Are you looking for easier and smarter ideas for making GIF image? If you are, then going for Google Chrome Addons won’t be a bad idea. In one of my previous articles I shared some of the best ways to create GIF image using some simple ways. And, today I am focusing mainly on one way, that is using Chrome Addons. These chrome add-ons give you some awesome options to create an attractive GIF image and it is really easy to use it as well. 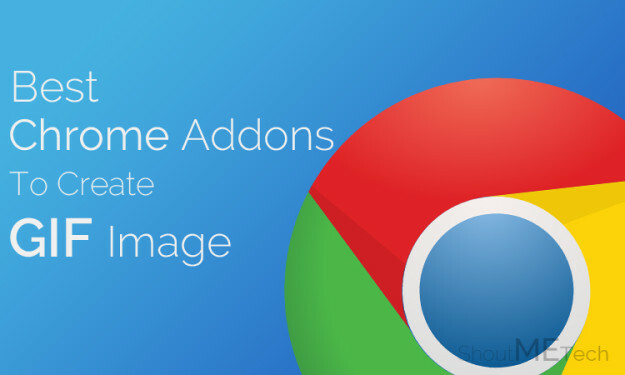 When you install any of these chrome addons then it don’t let you to download any video or image to convert that into GIF format, it can be done right from your browser and that too with complete ease. The GIF format is very much loved by many of the users out there and they keep on searching for some of the convenient ways of creating that for their images or videos. So, friends you may use any of the below addon to get a GIF for yourselves. So, here are the best Chrome addons which you may grab for Google Chrome and start creating some appealing GIF images. So, get to the below list of these addons to select one for yourselves. MakeGIF is the first addon which I am listing on my list and it is justifying to put this on number one. It let you to capture video from YouTube, Vimeo and all other HTML 5 websites and allow you to convert that into GIF image. You can set frames, size, add text and apply some extra changes on your captured GIF and ones you are done with it then share it with your friend or download it on your computer. In order to use this, you need to download this addon for your chrome and then surf any HTML 5 website like; YouTube or Vimeo then play any video which you want to convert into GIF image and then Click on blue button from top right corner and go with the on-screen instructions then you’ll have your GIF Image. The Jiffy is another awesome addon for creating GIF image. It is almost same as above one but it only works with YouTube. You can capture the part of YouTube video and then convert that part into GIF image and then it can be shared on social media or can be downloaded on your computer. You need to download Jiffy for your browser and then go to YouTube and play any video which you want to convert into GIF image. 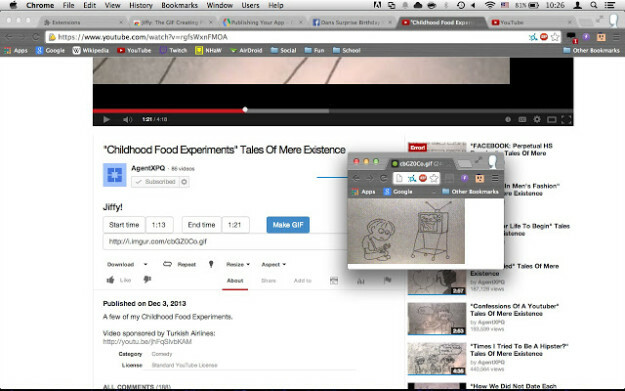 Then under the video player, look for Jiffy Toolbar. Then you need to type the time from where you want to start and end a GIF and then Click on Make GIF button. Remember that GIF will be of utmost 15 seconds not more. It is one of best addon to create GIF image as it offers you multiple method of creating a GIF image. 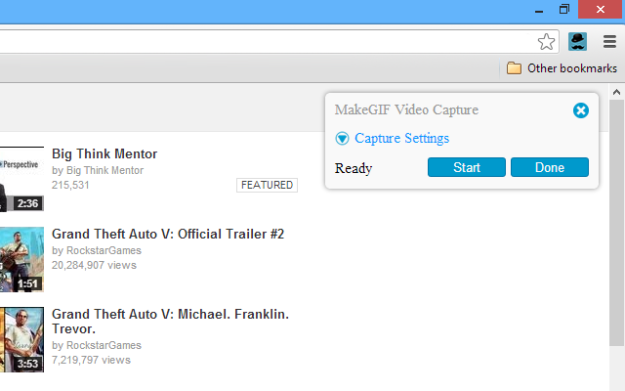 It let you to create your GIF from video sites, using your Pictures and webcam. It gives you all possible method of creating awesome GIF images. After creating your GIF, it let you to share that on social media sites directly or download it for your computer. Make a Gif has integrated many features which can help you to make your GIF image more attractive and appealing. It is really an easy task to create GIF using this addon. It is a simple pick-and-drop job. Get Make a GIF here. GIF Me is as interesting as its name. GIF Me makes saving, sharing and organizing GIFs easier than ever before. It let you to convert videos into GIF and also some images into a GIF format. It is the most easiest way of creating a GIF image. You need to go to any image online and then right click on that image and Click on GIFMe then it will create a GIF image for you. Even though you are not much familiar with handling the computer stuffs , you may use this addon as it is too easy to handle. The Animated GIF Maker is another best addon for creating your own GIF from different videos. First you need to download this for your browser and then click on small icon from the top right corner. And, there you’ll have different tools which you may use to create an appealing GIF. After creating your GIF, you may download it for yourself. GIF Your Face works as its name, it GIF your face using your webcam. 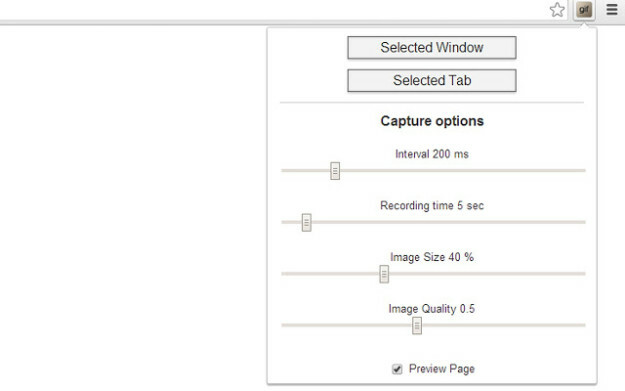 It let you to record a short video of yours using your webcam and then this addon will convert that video into a GIF image. All this proceed can be done in less than 10 seconds. It is really reliable and easy to use app and there are many users who have loved this addon. . So, you must try this out to GIF your Face! 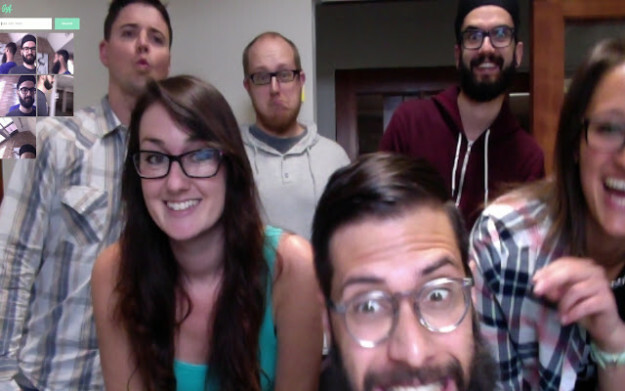 Get GIF Your Face here. Here are some complementary add-ons which you may use to create your GIF image. You may select any of your favorite addon and start making your animated GIF image. Have you got one for yourselves? Do let me know if you able to find the suitable GIF chrome addon for your requirement from this list or not? 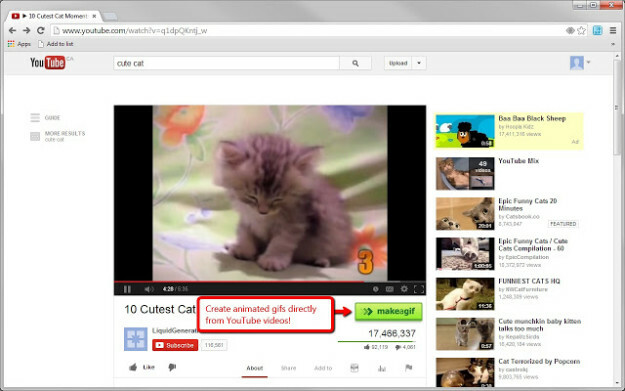 Do you know of any other Chrome addon which let you create .gif images? Do share this awesome list with your friends on social networking sites? 1.2 Have you got one for yourselves? Dosen’t youtube has its own GIF creator ?